The school year is divided into three terms, with a one-week half-term holiday in between. The term dates are published each September and can be found on the website; they are also included in the regular parents' newsletters. The aim of our teaching at Westbourne is to introduce children to a wide range of rich and varied experiences which will extend their understanding of themselves and the world they live in. Please also see the Curriculum page in the Parents Section of the website. All children at the school follow the National Curriculum, which means that they spend a good deal of time on the Core Subjects: English, Mathematics and Science, with a daily English and Maths lesson. There is still plenty of time for the other Foundation Subjects; History, Geography, Computing, Music, Art, Design & Technology, Physical Education, Modern Foreign Languages, R.E. and P.S.H.C.E. As part of their learning programme, children follow a variety of creative, cross-curricular topics and themes over the course of the school year. The topics are diverse and are drawn from the appropriate programmes of study and level descriptors of the National Curriculum. A variety of teaching approaches are used by teachers throughout the year, selected to be the most appropriate to the task in hand. This means that children are sometimes taught as a class, sometimes as a group or sometimes on an individual basis. This sensible approach ensures that every child will receive a broad and balanced education based on his or her needs. Westbourne recognises that the best place for learning may not always be in a conventional classroom environment. The outdoors is seen as another, much larger classroom, with an abundance of natural resources and many opportunities for hands-on, 'real-life' learning. We always consider how and where learning would best take place, and plan for frequent, continuous progressive outdoor learning experiences. The learning programme at the school covers the first two Key Stages of the National Curriculum. Children take part in a variety of assessment programmes: the Phonics Screening in Year 1; Teacher Assessment in Year 2 at the end of Key Stage 1; the National SATs test in Year 6 at the end of Key Stage 2. The Physical Education programme includes Athletics, Dance, Gymnastics, Indoor Hockey, Football, Tennis and Swimming at Cheam Baths for all junior age children. School teams take part in matches against local schools. Sports include: Netball, Football, Basketball, Athletics, Cricket, Cross Country, Gymnastics, Swimming, Hockey and Rugby. The R.E. programme is based on the London Borough of Sutton curriculum guidelines and follows a multi-faith approach with an emphasis on Christianity. 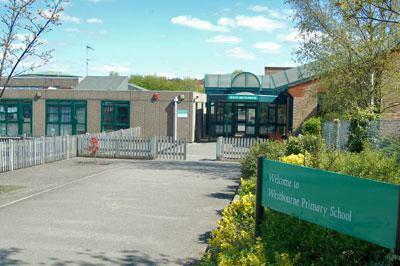 Homework is set to support the children's learning at Westbourne. For younger children, this is generally tasks from our reading scheme. As children progress through the school, the tasks support other areas of the curriculum and are designed to encourage good study skills, with emphasis on reading, spellings, multiplication tables and number facts. A definite strength of the school is the large number of free extra-curricular clubs and activities run at lunchtime and after school (our extended curriculum). A timetable for school clubs is issued at the start of each term and is published on the school’s website (in the Newsletters section). For a number of years the school choir has performed with distinction at the annual Sutton Schools Music Festival held at the Fairfield Halls, Croydon. More recently, they have performed in Young Voices at the O2 arena, together with thousands of other children and in front of a large audience. Year 4 and Year 5 children take part in weekly, whole-class Brass and Drums lessons led by specialist teachers. They also perform a Brass concert at the St Andrew's Church. Westbourne is housed in bright modern buildings. The school has benefited from a building programme that has won praise for its imaginative design. 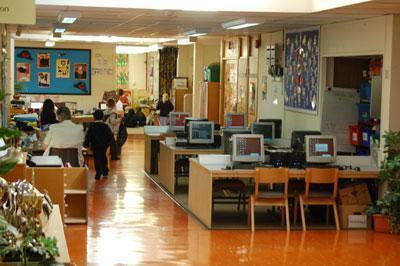 Inside the school, the classrooms (named after rivers of the British Isles) are carpeted and there are special areas for Science, Mathematics and English and for practical activities such as Technology, Art, Craft, Cookery and Music. 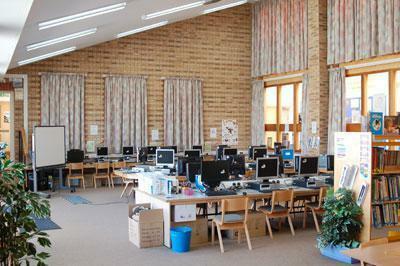 Since 1999, we have opened a new library and two computer centres, fully equipped with our own networked computer system. Over £50,000 was raised by the parents and friends of the school to pay for this facility. In addition to the computer centre, children can access iPads and Chrome books to support and enhance their learning in all areas of the curriculum. A distinctive and pioneering facility of Westbourne is our Big Brain Box - an imaginatively designed room to stimulate and inspire creative, child-led and independent learning, allowing the children to tap into their own preferred intelligence and learning style. The room is also equipped with a state-of-the-art Apple screen, together with a class set of iPads. There are very good facilities for P.E., games and gymnastics. Inside the school there is already a well-equipped multi-purpose hall, and 2001 saw the opening of our new sports hall. Outside there are attractively landscaped play and garden areas which include: a netball court, a large, multi-purpose field area, an additional playground space, a ‘fun bus’ adventure playground, and a developing environmental area (outdoor trim trail). For the younger children, there is an outdoor adventure playground with slides and climbing frames set on a special safety surface. 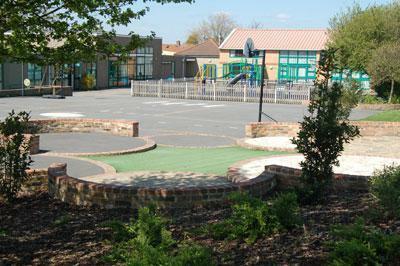 Early Years children also benefit from an engaging and specially designed outdoor area to stimulate their learning. With regards to classes, we do not have a fixed policy on mixing classes each year, but it is in the best interests of all children that we consider the make-up of classes on an annual basis in order that their quality of learning is maximised, as well as the personal, social and emotional well-being of the children. Our experience suggests that it is beneficial for the children to mix classes at the end of Reception, Year 2 and Year 4. It is therefore our practice to look at each year group in the summer term to decide whether any remixing would be beneficial. Parents are always notified if we are considering this for any year group and we would like to reassure you that this is never a decision which is taken lightly. The children at Westbourne are justifiably proud of their school as it offers them every opportunity to achieve the highest standards. Throughout the year children are taken on visits which support their learning in school. Children in Year 4 have the opportunity to go on 3-day visit to Sayers Croft; children in Year 5 can go on a weekend visit to Kingswood, and children in Year 6 can go on a week-long residential visit to the Isle of Wight. These visits play a vital part in developing children's learning and no child is ever excluded from a school visit on the grounds of cost. Every class has the opportunity to experience a day out in London, in addition to at least another school outing during the year. If parents have a concern about their child's education they are encouraged to speak without delay to their child's teacher or directly to the Headteacher. Generally, a concern or misunderstanding can be quickly resolved. Should the matter be more serious, parents may wish to make an appointment to see the Headteacher. The school has a formal complaints procedure and a copy of this is available from the school office if required.